Special equipment: muddler, cocktail shaker (but it’s not necessary! A mason jar is a great substitute for a cocktail shaker.) Start by placing the basil and a pinch of sugar at the bottom of your shaker. Muddle a bit. Peel the peach and place the fruit in the shaker. Add a squeeze of lime and muddle or shake vigorously to combine. Add the ice and liquor, shake some more. 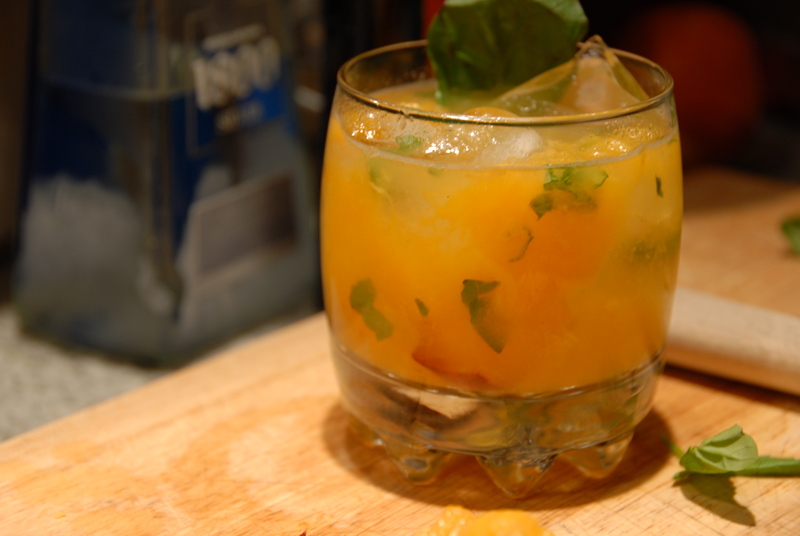 Transfer the contents into a glass and garnish with basil and/or a lime wedge. Ahh, don’t you just love cocktail hour? 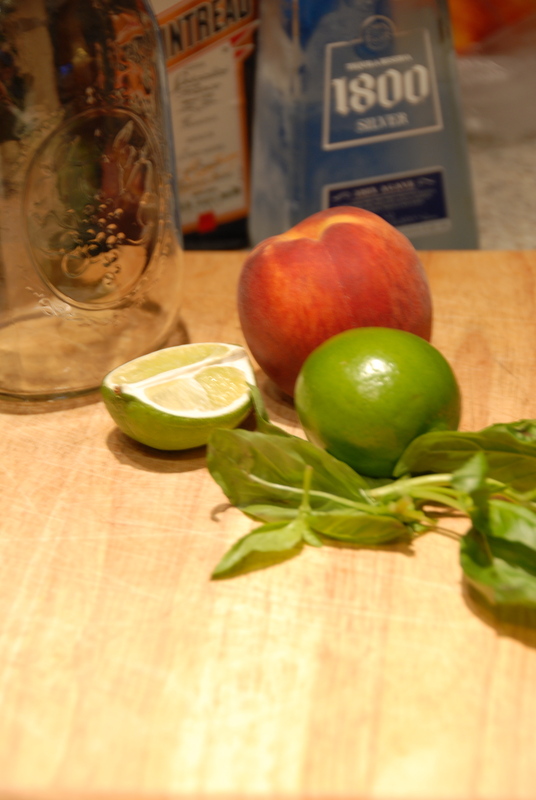 This entry was posted in Cocktails and Mocktails and tagged basil, cointreau, lime, margarita, peach, sugar, summer, tequila. Bookmark the permalink.